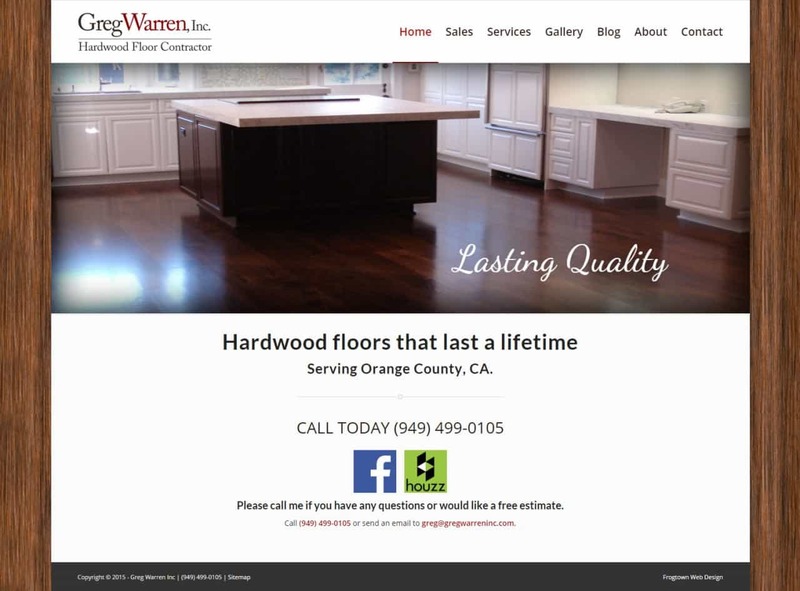 Frogtown created a new WordPress website for Greg Warren, Inc to showcase their extensive photo gallery of hardwood flooring projects. The gallery allows Greg to easily upload new flooring images through the WordPress dashboard. Greg’s mission for over 35 years has always been to install hardwood floors that last the life of the home. Homeowners that buy hardwood floors should expect their floor to last as long as that home is standing. He achieves this by exceeding all the standards set forth by the National Wood Floor Association.